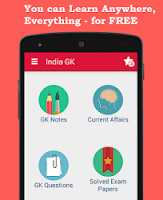 Current Affairs MCQs of 6 August 2015 Quiz: Current Affairs Daily Multiple Choice Questions (MCQs) for India GK, World GK and current affairs with Collection of daily objective type Question by www.Indiagk.net based on General Knowledge (GK) and General Science (GS) Questions for UPSC, State PSC, SSC, Police exam, Railway exam, SBI, Bank PO, IBPC, SSC, LDC, UDC, Army, Airforce, Navy, Coast Guard, Bank Clerk, TET and all entrance examination with current affairs News, Multiple Choice Questions (MCQs) available on Website www.IndiaGK.net and Android Apps with daily updates:. Which actor did not find a place in Forbes Top 10 highest-paid actors ? Indian football team stants at -------- place in the latest FIFA rankings in august 2015 ? Which Indian movie becomes first south indian movie to cross Rs. 500 crore earning ? Which vehicle maker recently launches New crossover vehicle "S-Cross" ? Which indian police force to introduse laser gun ?